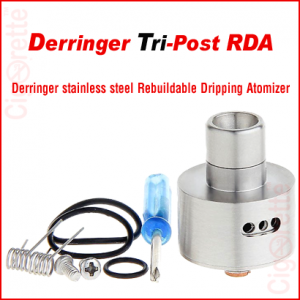 RDA: Rebuildable Dripping Atomizers are atomizers where the e-juice is dripped directly onto the coil and wick. 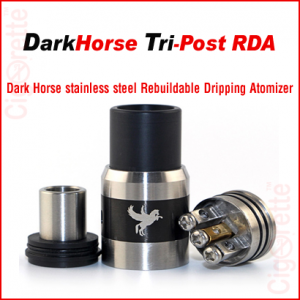 The common nicotine strength of e-liquids used in RDA’s is 3 mg and 6 mg. Liquids used in RDA’s tend to have more vegetable glycerin. They typically consist only of an atomizer building deck, commonly with three posts with holes drilled in them, which can accept one or more coils. The user needs to manually keep the atomizer wet by dripping liquid on the bare wick and coil assembly. Kanthal wire is commonly used in addition to nickel or titanium wire for temperature control. 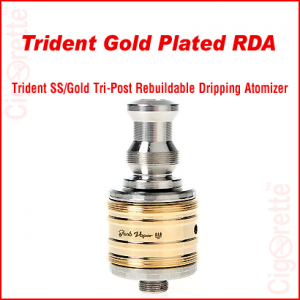 Hey Buddy!, I found this information for you: "Trident Gold Plated RDA". 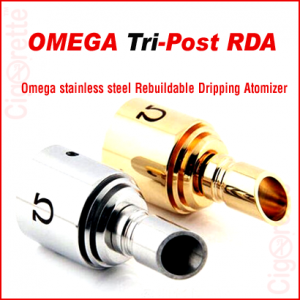 Here is the website link: //www.cigorette.com/shop/atomizers/rba/rda/trident-gold-plated-rda/. Thank you.